No one knows when an accident, illness or age-related decline may impair one’s ability to manage daily life. Seniors are especially cognizant of the need to prepare for this possibility. 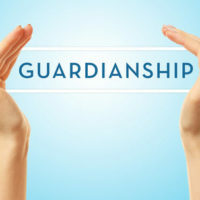 A Guardianship is the standard legal procedure to transfer authority over a person’s personal or financial affairs when the individual no longer has the capacity to do it themselves. When a guardian is appointed by the court, some or all of the ward’s rights are taken away, and delegated to a guardian. The appointment of a guardian over an individual, and the ongoing court involvement in the oversight and administration of a guardianship is intrusive and expensive. Proper legal planning, providing for someone you select to make medical decisions and handle finances, is viewed by the court as a “less restrictive alternative” to the appointment of a legal guardian. And if the appointment of a guardian is necessary, Florida statutes provide for the appointment of a family member as the next favored alternative. But the final determination of who should be a guardian is up to the court, and depending on the circumstances of the case, a court may prefer to appoint a professional guardian. An overview of the role of a professional guardian, and issues this appointment can create, will be discussed below. What Is a Professional Guardian? Professional guardians are individuals or business entities who serve as guardian for three or more incapacitated individuals (wards) at any one time. Professional guardians are registered with the state, and must undergo a background check, take a 40-hour course on guardianship, and pass a state exam before they may hold themselves out as authorized to serve in this capacity. Professional guardians are paid for the services they provide on the ward’s behalf (meaning the wards must have the financial resources to cover related expenses), and are authorized to employ other professionals (attorneys, accountants, financial advisors) to aid them in fulfilling their duties. Any “interested person” can petition the court to be appointed guardian, irrespective of their relationship to the prospective ward or knowledge about his or her situation (other than behavior signaling some degree of mental incapacity). There are two scenarios that most commonly lead the court to appoint a professional guardian. First, there may be no family in the area. If an individual ends up in a hospital and presents an injury or mental impairment, the facility may not know how to contact any family member, in which case, the Florida Department of Children and Families’ Adult Protective Services division will be contacted. That agency will then arrange with a professional guardian to petition the court for appointment. In these circumstances a court may appoint a professional guardian before the family has even learned what happened, let alone had an opportunity to intervene. Removing a guardian that has already been appointed is a daunting task that is not always successful despite best efforts. The other situation in which a judge is more likely to appoint a professional guardianship is if there is conflict among the family over the ward’s care. In this circumstance, a court could see the conflict as against the ward’s best interest, and concluding that a professional guardian, as a disinterested third party, would treat all family members fairly. Professional guardians are not obligated to consult or inform family members about actions taken related to the ward, including selling the ward’s assets to cover guardianship-related expenses or placing the ward in a nursing home or other long-term care facility. Further, and most importantly, a professional guardian can restrict or cut-off a family’s access to the ward. The family could take legal action against the professional guardian, but there is no guarantee the court will order access or remove the guardian entirely. Working closely with an experienced elder law attorney is the best way to prevent this undesirable situation from occurring. Advanced directives, such as health care surrogates and powers of attorney, can govern the types of decision a guardian would make. Additionally, if guardianship is necessary, an attorney can advise and assist in this process to minimize the likelihood of a professional guardian being appointed and keeping immediate family members in control of the person’s affairs. Planning for these issues should not be ignored until it is too late, and some options may no longer be available. Let the office of elder law attorney William Rambaum, P.A. help you protect yourself and your loved ones from unnecessary confusion, stress and legal hassle. William Rambaum handles all aspects of estate planning and asset protection for Florida’s seniors, and can help you keep your future secure. If you live in the Clearwater or Oldsmar area, contact the office for an appointment.